I adopted Truffles from my local Petco so the store is very special to me. Even today whenever I stop in to pick up a few things I can't help but glance over at the adoption center remembering that day nearly 5 years ago and how excited I was to begin our long, happy life together. Sadly that wasn't meant to be, but even if I'd known the heartbreak that was to come I still would've brought her home that day. 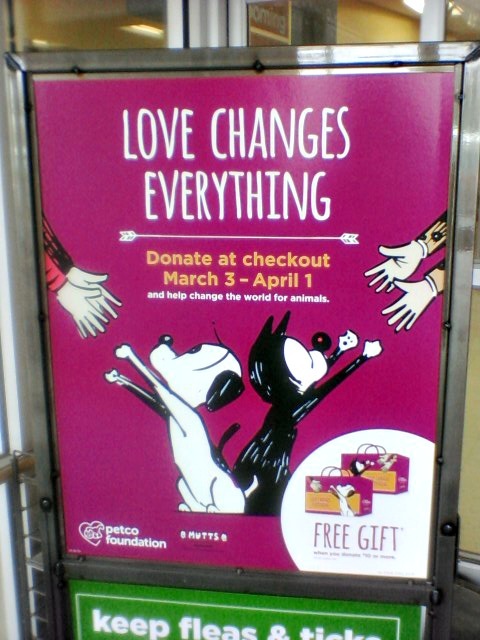 The Petco Foundation is teaming up with award-winning artist and creator of the heart-warming MUTTS comic strip, Patrick McDonnell for the annual “Love Changes Everything” campaign in an effort to raise $3.1 million to support lifesaving animal welfare work nationwide. The “Love Changes Everything” Campaign runs through April 1, and this year pet adopters can join the Petco Foundation in creating the world’s largest mosaic mural of adopted pets and their people. Adopters submitting photos at petcofoundation.org/snaplove will be eligible to win daily prizes, including a $100 Petco gift card, a signed MUTTS print, and a coupon for a bag of WholeHeartedPets pet food, PLUS a $500 grant award for eligible adoption organizations! 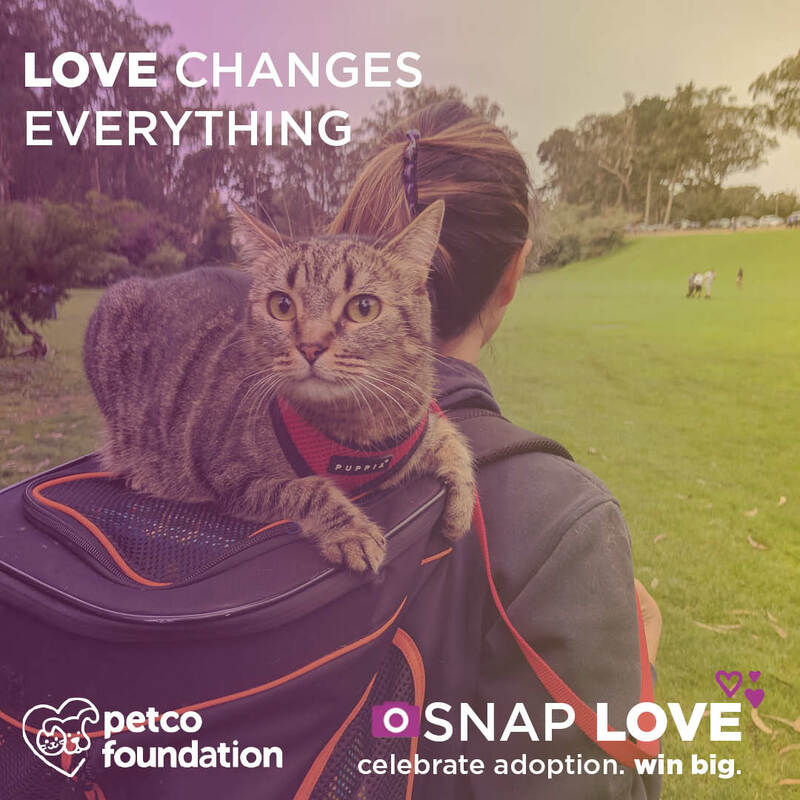 Animal lovers can support the “Love Changes Everything" campaign by making a donation in any Petco, Unleashed by Petco store or online at petcofoundation.org/love. Anyone who makes a donation of $10 or more will receive a limited-edition tote bag featuring MUTTS artwork specifically designed for the Love Changes Everything campaign. I got my tote last weekend! Pawsome! All three of us were adopted at Petco! I really love this campaign! 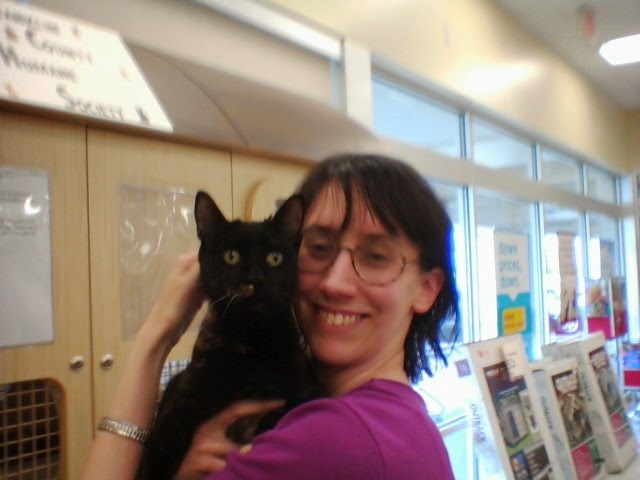 My human always tries to visit the adoptable kitties when she goes to PetCo, unless I am with her. Then she doesn't want to risk upsetting the kitties, or me. Paws up to Petco for such a great campaign. A great cause and Patrick McDonnell’s artwork is perfect! That is a beautiful photo of you and Truffles. I love this cause and this wonderful project. I also love this photo of you and your sweet Truffles! Way to go, Petco! We added our photos to the mural! This is such an exciting project. Unfortunately, our mom works on 3/25 so she can't be there in person. Yay! My pic with Pop is in the mosaic! A Bad Picture of Mudpie? Impossible!! !